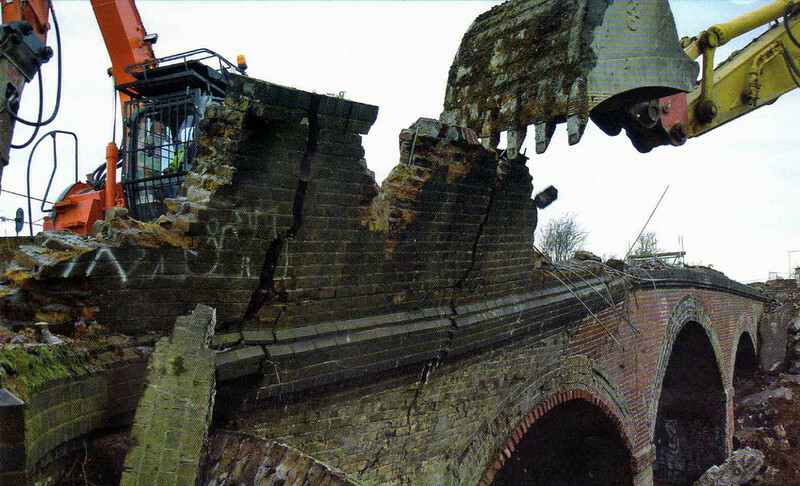 The destruction of Windmill Bridge. 9th January 2008. Source Guided Busway Update. Cambridgeshire County Council.